KATHMANDU, Jan 23: Works of Upper Tamakoshi Hydropower Project (456 MW) will be complete by the end of 2019 if the project maintains the current pace of works for the remainder of the year, project officials say. Unlike past schedules, all six units of the project will start generation almost at the same time. “The project will start power generation if everything goes as planned by the end of this year,” Ganesh Neupane, the spokesperson for Upper Tamakoshi Hydropower Limited – a subsidiary of Nepal Electricity Authority (NEA), told Republica. “Both the contractors are working as per the reassignment of the works for fixing penstock pipes made last month. 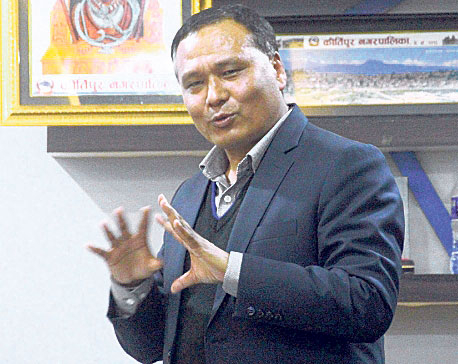 They will complete works by the deadline if work pace is not affected,” said Neupane. At present, the contractor is busy fitting penstock pipes at the end of the tunnel to channel water into the underground powerhouse. It is one of the most difficult tasks of the project, according to officials. The project has assigned the task of fitting penstock pipes in the most difficult stretch of 367 meters to Austrian firm Andritz Hydro, while Indian firm Texmaco is fitting pipes work on the remaining 367-meter segment. Texmaco had received contract for both the sections. However, project officials had to rearrange works as the Indian contractor remained idle for months. “Both the firms are working on their full capacity. We are hopeful that the penstock pipe works will be completed by November or early December,” added Neupane. 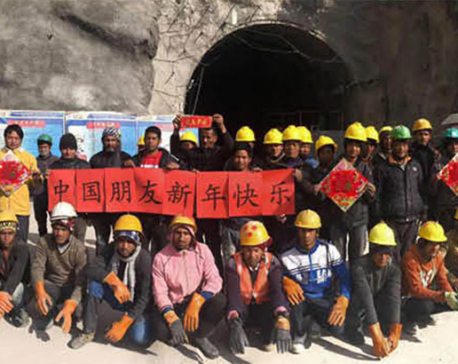 The supply of penstock pipes to the project site from Sunkoshis as well as the import and supply of remaining pipes is also going on smoothly, according to project officials. The project, which is expected end electricity imports at least during the wet season, has seen multiple delays after the 2015 earthquakes and the subsequent Indian blockade. The project was initially expected to be completed by the end of 2015. According to the project, all six units will come into generation within a period of six months, or one unit every month. The delay means the project will have to pay interest on loans worth Rs 31 billion without earning even a penny. The project’s revised estimated cost is Rs 49 billion. But total investment in the project will soar to Rs 70 billion if bank interest is counted. The project is paying an average interest rate of 11 percent. The developer has borrowed Rs 10 billion from Employees’ Provident Fund, Rs 6 billion from Nepal Telecom and Rs 2 billion each from Rastriya Beema Santhan and Citizen’s Investment Trust. Similarly, it has borrowed Rs 10.8 billion from the government. Many are worried that the project no more remains lucrative because of cost and time overruns. There were also some rational grounds for cost overruns due to realignment of the tunnel. The company is in negotiation to borrow an additional Rs 8 billion from EPF and other lenders. “The project cost, including the interest rates till the end of 2019, will be close at Rs 70 billion,” added Neupane.